A psychologist and meditation teacher shares practices to transform challenging emotions. Despite our best intentions, we often have trouble dealing effectively with strong emotions. What if you had a conscious, skillful way to respond in times of anger, fear, jealousy, shame, and other powerful emotions? Meditations for Emotional Healing gives us a collection of insights and practices for bringing compassion, clarity, and understanding to our emotional livesinstead of expressing or repressing them in unhealthy ways. As Tara puts it, When we touch what is painful with awareness, the armoring around our heart melts and we become more tender and kind. Meditations for Emotional Healing is an invitation to return to our natural stateat peace with what is energetically whole and spiritually free. 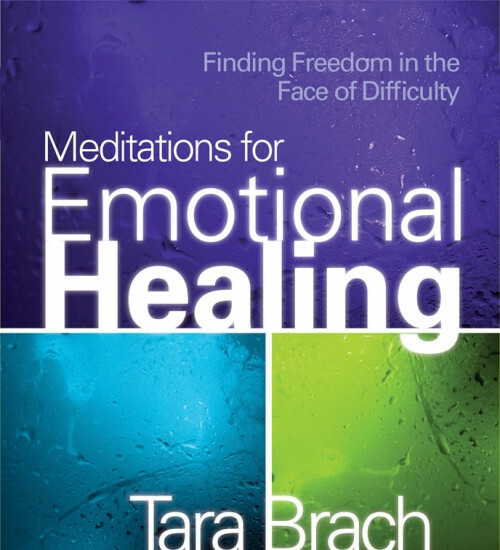 I very much appreciate Tara Brach's teaching style, and this CD is packed with her sincere and profound examples of showing kindness to the parts of ourselves we would rather not acknowledge. Each segment includes a teaching along with illustrative current examples and relevant poems or quotes, followed by a meditation in which we can put this teaching immediately into practice.